The advisory Board for the CaFAN Agriculture Complex is made up of individuals who have demonstrated unique knowledge and skill. Members of the advisory Board are a cross section of the community (private, government, and industry) to assure broad prospectives are integrated into the solutions for the facility. Each member of the advisory Board shall be appointed to serve a term of three years. Assembled to assist the Board of Directors by completing specific initiatives, the advisory Board shall provide input and advice to the Board of Directors on policy development matters. It shall generate advice and guidance to assure an orderly, progressive development leading to the successful implementation of the complex’s programs and operation. Among the role and responsibilities of the Board are public and community relations; providing feed back to the staff on programmatic issues; program evaluation; provide technical expertise, and serve as advocates for the complex and its programs and services. Joy-Ann is a graduate of The Mary’s University, Halifax, Nova Scotia Canada. She holds a certificate in Teacher Education and a first degree in Psychology with a background in Religious studies from Saint Mary’s University, Halifax, Nova Scotia, Canada. She attended City University of New York- The College of Staten Island. She’s currently an Education Officer with the Ministry of Education in Antigua and Barbuda, and is an alumnus of the U.S. State Department’s premier exchange program, the International Visitor Leadership Program (IVLP). Joy-Ann also has a passion for agriculture development in Antigua and Barbuda and believes in the sector’s potential to attain the United Nation’s SDG’s (Sustainable Development Goals). Ruth is passionate about integrated development that impacts people. 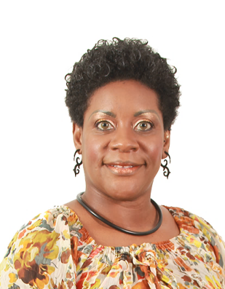 She is trained in development economics with a focus on project appraisal, Ruth received a Master’s Degree in International Development Economics from Yale University. One of her keen interests is in appropriate technologies that make life better for vulnerable people and brings about empowerment. She is the GEF Small Grants Programme National Coordinator. Ruth is also the Deputy Director of the Marine Ecosystems Protected Areas (MEPA) Trust, and currently a Member of the GEF Technical Advisory Board/National Climate Change Board. Ruth is active in the northwest community of Antigua, supporting the implementation of Antigua and Barbuda’s first Adaptation Fund project via the direct access modality. 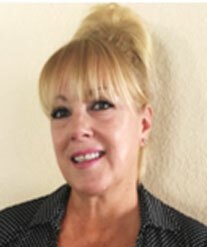 Nancy K. Smith, Retired RN, Smiths’ professional twenty seven years experiences are Critical Care Nurse RN at a Level 1 Trauma and Burn Center. She was then promoted to Nursing Supervisor over a 400 plus bed hospital. Her duties included staffing, Director over Resource Pool Staff, Code Blue Team leader. Her after hours responsibility for obtaining equipment and supplies and medications from departments and other Hospitals. She also served on many committees including: Hazmat, Mass Casualty Incidents, Bomb Threats, Fires and Safety. 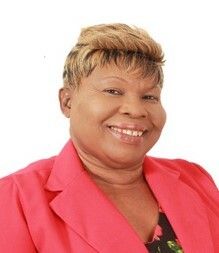 Yvonne is an entrepreneur of cleaners and bed and breakfast enterprises in Antigua and Barbuda for over 20 years. She is educated in several discipline’s and certified as internet and advanced computer competent. 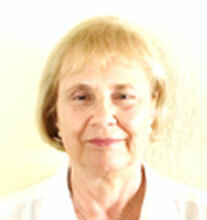 Her expertise’s are focused in interpersonal relations, business accounting and Human Resource Management. J’moul has obtained a comprehensive education in private, European and international law. He has functioned as Deputy Director of Government Information Services, Legal Intern, and Research Officer. Francis is also certified in matters of Anti-Money Laundering, the Financing of Terrorism and Financial Crimes. Francis is a graduate of European Union possessing European Comparative and International Law, Public and International Law, Constitutional Law, Cyber Security Law, and Humanitarian Law. He has demonstrated skills in research, advocacy, leadership, and administrative support in legal and non-legal positions. Member, National Sanitary & Phytosanitary Board 2015 – Present. 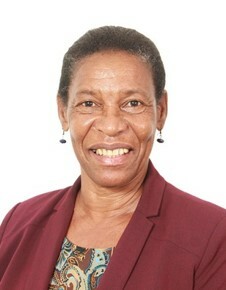 Vice President of Team Fresh Produce Co-operative 2009 – Present. Elijah is an accomplished Sales & Marketing Manager with over a decade of experience in the retail and hospitality sectors. He is also an ardent civil society advocate who established Volunteers United (Vu) – an NGO network that works with local, regional and international agencies to better mobilize and coordinate among NGOs within his community and across the region on varying issues including climate change, sustainable development, access to finance, agriculture and civic engagement. 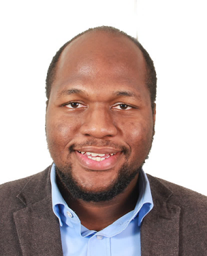 Elijah is also a serial entrepreneur who started his first business at the age of 15 years old; he is currently the CEO & Founder of The LocaL App; an Antigua and Barbuda based start-up that allows users to Explore, Trade and Review – local businesses, products, services, events, opportunities and more from across the Caribbean conveniently from their mobile phone. 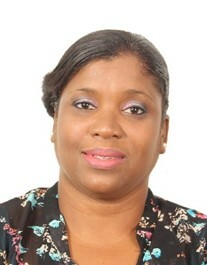 Pheona is an Executive Officer within the Ministry of Tourism, Foreign Affairs and Immigration in Antigua and Barbuda. She is mandated to assists with supervisory responsibilities in the accounts department of said Ministry. After graduating from Community College Pheona went to work with the government of Antigua and Barbuda and upon gaining many experiences in administrative and general human resource which comes with career development, she decided to enhance her education and is presently enrolled in the Masters – Global Management programme at the University of Salford in Manchester, Switzerland. It is her desire following her studies to explore avenues to market and manage effectively locally and internationally the business which both she and husband operate. Smith, Retired Vice President of New Business Development, Smiths’ professional experiences are over twenty five years in the Mail-order, Retail, Fulfillment and Manufacturing industries for Ecometry Corporation. During the twenty five plus years, she was the Vice President of New Business Development and was instrumental in helping to bring the company public in January 1999. She was also responsible for building the Domestic, European and New Technologies Divisions. She also was responsible for advising over 200 users of the Ecometry software system in the launching of their new businesses, global expansions and acquisitions. Sereno is certified in International Trade, Extension Programming and Rural Development. 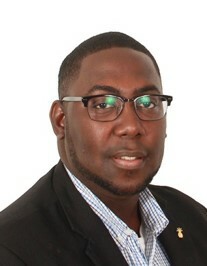 He is currently the Agriculture and Forestry Extension Officer of Excellence for the Ministry of Agriculture in Antigua and Barbuda, which includes the Supervision of extension officers, Farm Management and Record Keeping and GAP (Good Agriculture Practices) audit certification. 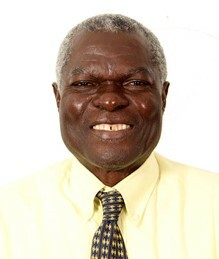 He was responsible for introducing seedling production using seed trays, introducing warm season tomato and lettuce production in Antigua and Barbuda. His experience includes, participation in Rapid Reconnaissance assessment of Agricultural Areas for programme Development in Antigua and Barbuda, Grenada, Trinidad and Tobago, St. Vincent and the Grenadines, and Dominica . Aldo has expertise’s in Banking. He has worked in the Banking Industry for over 27 years in varying positions to include: Teller/Customer Service Rep, Proof Clerk, Cash Cage Custodian, Foreign Business Clerk and Account Manager. 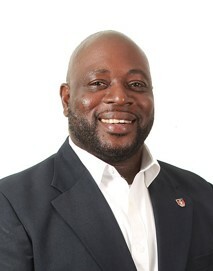 Mr McCoy is also involved in extra-curricula actives in the communities in Antigua and Barbuda. He works with youths in the National Cadet Corps and is also the General Secretary of the Antigua and Barbuda Basket Ball Association. His interest in Agriculture is from a perspective of healthy living and climate change mitigation. “Bill” born New York 1970, married with three daughters, attended State University at New York, Pace University and University of Pennsylvania. Serial entrepreneur, business development strategic advisor and lives to help others. President and Board Member of local charitable community associations. 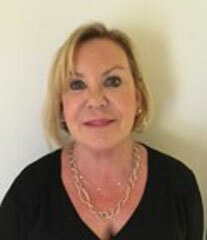 Vicki Barkley, Founder of Benefit Solutions in The Workplace, Barkley has specialized in the design, implementation, administration and services of Employee Benefit Plans for over 20 years. She provides employers with the right solutions when faced with making difficult decisions arising from the ever-increasing cost of health insurance. She developed a strategic approach which addresses the short-term needs with your long-term objectives in mind.